myself: ok i dont disturb you, may i sing a song for baby .. This kavidhai didn't came fine, but it says the things correctly. 25th thursday: i thought that if i stay alone, i will think about lotus, so i decided to go home. i reached guindy by 7.30 to get a bus. All buses came in full, they didn't allow me to sit even in driver's backside cabin ...many people are coming in standing..Huge traffic, i have walked more than 5 km's along the road for a seat, Atlast i was tired, then decided to go back. Thank god i have spent these 3 day's with friends.on 26th - movie 'pokiri'. Saravan accompanied with me on sunday, he came here for a marriage. நேரம் : 00:15 A.M நாள்: 22/01/2007 ...I am not allowed to talk with her, but she allow me to see her...indru avalin tharisanam kidaika kaathirupen. இறுதிவரை உனக்கே பணி செய்து கிடக்கிறேன்! The lotus tree (Greek lôtos) was a plant in Greek mythology bearing a fruit that caused a pleasant drowsiness and growing in North Africa. This fruit was reported to be the only food of an island people called the Lotus-Eaters. In Homer’s Odyssey those of Odysseus' men who ate the fruit lost all desire to leave the island and had to be forced away. 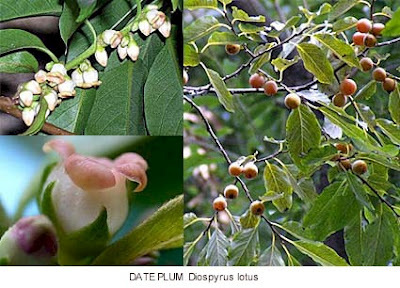 In another story from Greek mythology, the nymph, Lotis, is turned into a lotus tree. The original native place of lotus tree is south Europe and Hemallaya moutons north of China. It is naturally grown in Egypt in the Sinai peninsula, Elba mouton, Nubia, besides Ethiopia and the Arabian peninsula. One of the largest valleys in Sinai is known as the Valley of Lotus, as it is cultivated in Egypt since the oldest ages. It was known to the Egyptian Pharaohs as Nebes. 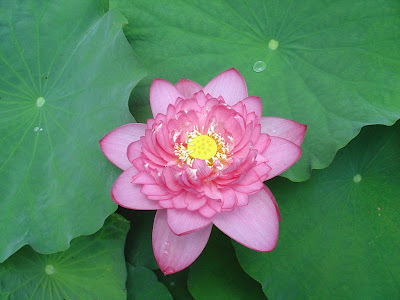 In the past in Egypt, lotus fruit was cultivated in all houses, in their court yards. Lotus trees nowadays grow in Upper Egypt. They are shady and the wood is used for making agricultural tools, furniture and also in building. The lotus fruit is tasty and has nice odor; most of Egyptians like to eat. 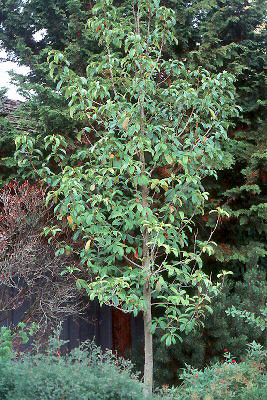 The lotus tree slowly grows with large branches, with height 3 cm from the surface. The leaves are permanently green. They are oval and glossy. 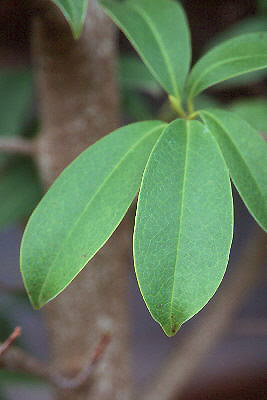 The neck of the leaf is reddish green. The branches are hanging with sharp small nails. The fruits are small, yellowish green. They are grown in autumn, and are small, like apple in shape. Its diameter is 2 cm. It is tasty when ripe. Inside the fruit, there is strong seed. The fruits have two main crops; one in spring and the other in summer but it is less important. Some kinds of lotus are relatively large in size. 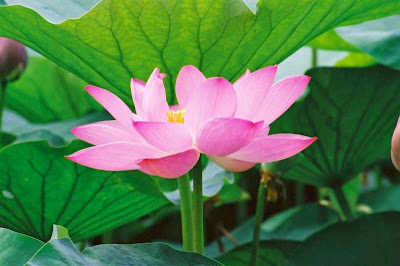 The proliferation in lotus fruit is effected by seeds, cultivated in flower pots. They are kept there till cultivation in the permanent place. The seeds are cultivated in the permanent place directly as the seeds are put in small pots with soil, then irrigated till growth. After growth, the numerous quantities of seeds are decreased to one, which is the strongest. The lotus trees are planted at the agricultural roads sides, 10 cm distance between each. The excellent races can be proliferated with vaccination takes place in spring and autumn. 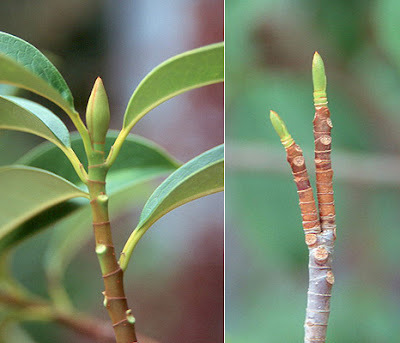 1) An evergreen or semi-deciduous ree to 40 ft (12 m) tall, upright rounded form, young shoots gray-pubescence, becoming glabrous (without hairs), shoots ringed at bud. Leaves alternate, simple, 20 x 6.5 cm, oblong to elliptic, acute or short-accuminate, base wedge-shaped (cuneate), glossy green above, somewhat bluish and glaucous (waxy bloom) below, leathery, margin entire; petiole to 25 mm long. Flowers terminal, solitary, erect, to 7.5 cm diam., white but tinged with pink to rose, outer petals (tepals) sepaloid, inner petals (tepals) obovate, fragrant, appear after new leaves in spring. Fruit an elongated cone, to 9 cm long and 3 cm thick, plum red. 2) Sun or part shade. Culture similar to that of Magnolias, best in humus-rich, moist but well drained soil. 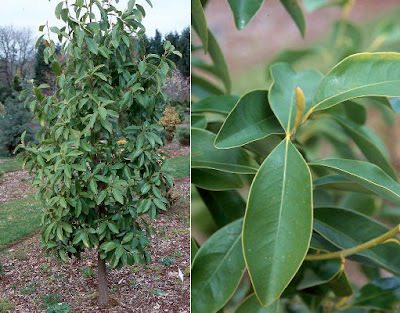 3) Hardy to USDA Zone 7 Native to western China, Himalaya and Burma. 4) Silverton, Oregon: The Oregon Garden -- south east corner of business center. 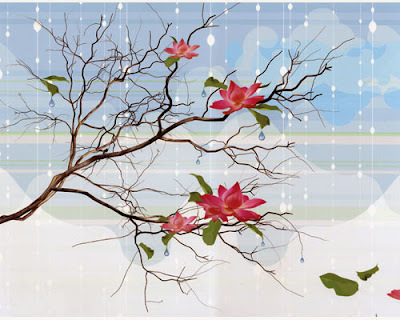 Description: A small deciduous tree which flowers with lotus-shaped blossoms in mid-summer. Its sweet red fruit ripens in late autumn. Today I thought of talking to lotus after long day's. I said 'hi', no reply from her.. She didn't change even a little bit. So i am reading the old same-time conversation's between me & lotus(palaya ninaivughal). How can i show this blog ? nee enna chinna pennah, innum unaku puriyamaataikudhu. Your nickname well suits me. Who is playing ?? God is playing in my life, it's more interesting than a movie...full of pain & sorrow. Every movie will end in a climax, hmmm let's see...what will be the climax in my story ? பொறுத்தார் பூமி ஆழ்வார், எனக்கு இதற்கு மேல் பொறுமை இல்லை ! What you expect from this lotus ? Now we have the prospect of a self cleaning plastic cup based on the same ideas that nature used to self-clean the Lotus Leaf - a plastic cup that can be reused without washing it, simply because contamination has no chance to stick to the surface. 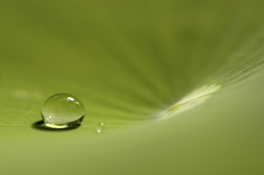 The ideal natural properties of the Lotus leaf’s self-cleaning surface are ideal for many applications and consumer products. 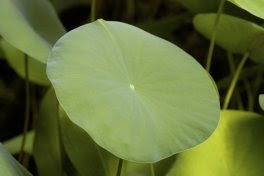 The secret of the Lotus leaf can be found in numerous tiny pillars with a wax layer on top. Water drops are lifted by these pillars, get into a spherical shape and can simply not cover the surface. Dirt gets no chance to stick to the surface via water. The spherical drops roll off and take dirt particles with them. Again, nature proves to be a source of inspiration for the laser scientists of the University of Twente: they aimed at creating similar surfaces, but without having to use wax. They succeeded in that using an ultra fast femtosecond laser. The light pulses are so short that they can be seen as light ‘bullets’ with which the surface is bombed. Max Groenendijk applies the laser in two separate steps. 1) During the first step, the surface gets a fine ripple structure. This is caused by a special self organizing effect that works for almost all kinds of surfaces. Whenever the laser removes some material, a pattern of ripples is formed at the bottom. It is possible to influence this pattern with parameters like speed, intensity and polarization. 2) The second step is writing a pattern of perpendicular lines. What remains is an array of pillars. These pillars then already have the fine pattern caused by the first step. This double structure replaces the need to have wax on the pillars, and makes the surface highly hydrophobic. Treating surfaces directly would be to expensive, but by using a mold, series can be produced in an economic and easy way. Both groups are part of the Institute for Mechanics, Processes and Control Twente (IMPACT) of the University of Twente. On the very first day of monsoon. 15th Monday: பொங்கல் திருநாள், Today... I was very happy to see all the lords decorated with white lotus. 12th Friday : Reached home by 6.30, then as usual by 10.30 I went to temple.. Evening, I went for shopping with my mom... I have selected a rose color saree for my mom,she likes that very much...evening we both went to temple. 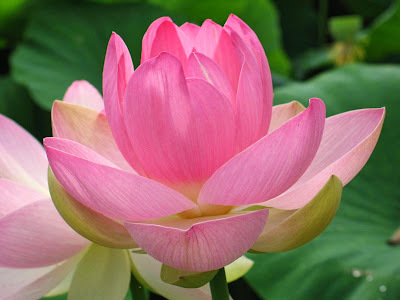 13th Saturday: Slept very well in early morning,By 11.00 A.m I went to market to buy lotus flowers for lord... It(lotus flowers) looks very pretty, So i bought lots of flowers(pink & white) and went back home and kept it in fridge..By evening i gave those flowers to temple for lord. 15th Monday : அன்று பொங்கல், நான் நன்றாக தூங்கி கொண்டிருந்தேன் அம்மா என்னை பலமுறை எழுப்பினார்கள் பொங்கல் பொங்குவதை பார்ப்பதற்கு, ஆனால் மனது சரியில்லாததால் நான் எழுந்திருக்க வில்லை. ஒருவழியாக 7 மணிக்கு எழுந்து குளித்துவிட்டு புத்தாடை அணிந்து நண்பணை(srini)அழைத்துக்கொண்டு பூ சந்தைக்கு சென்று தாமரை மலர் வாங்கி கொண்டு கோவிலுக்கு சென்று இறைவனை தரிசித்தேன். I bought nearly 50 flowers(All white lotus)... In temple they have decorated all the lord's with lotus flowers. 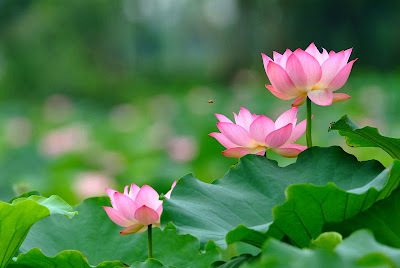 In Future, i thought of making a pond to grow lotus flowers for god. இன்று அன்னை எனக்கு தாமரை மலரை கொடுத்தாள், அதனை குத்து விளக்கின் பாதத்தில் வைக்க சொன்னாள். தாமரைக்கு என் இனிய பொங்கல் நல்வாழ்த்துக்கள் ! Friday 5/1/07 - I came office by evening after finishing the last exam. அன்று எனக்கு அவளை பார்க்கணும் போல் இருந்தது. I said god that I like to see her... I know i can't and left office by 8.40 and waiting for the cab, but the road was blocked, then i walked towards the signal to catch the cab. The cab came and she is sitting inside the cab[same color-green (New dress, i like to show to her)] , i was surprised to see her, But i didn't see her face. Luckily i heard her voice bcoz the driver went thru some other way, so she asked to stop the cab. Time will come soon to meet her..
First 8 are the main ingredients. Add one glass full of water, Boil these mixtures for 20 min's with light heat, then filter the boiled content Now you drink this medicine... It's for one person, if more than one person needs, for them it should be prepare separately. don't share with other's.. Take this medicine once a week to get cure from Chikungunya disease.It will be better to take on Ammavasai or Pournami day, if the person affected more. This is the year, i suffered lots of pain in life,carrieer & everything..i didn't get a single chance to show my talents in projects...2007 will be a good one for me. Xue’er is dancing to welcome the new year for you.... You will be always happy in this year. Lord Saraswathi will bring you lots of wealth, good health, wisdom, joy, happiness and sakthi to you.